Crisis in Zimbabwe Coalition has reported that they have received reports indicating that the that the MDC Party headquarters in Harare is on fire . "Sources claim it's an act of retribution by ZANU PF supporters." CiZC said in a statement. MDC Spokesperson Jacob Mafume said, "The Mnangagwa regime has just sponsored a cowardly attack on Morgan Richard Tsvangirai House. 10 trucks stormed the building, set fire to reception ,assaulted security personnel. 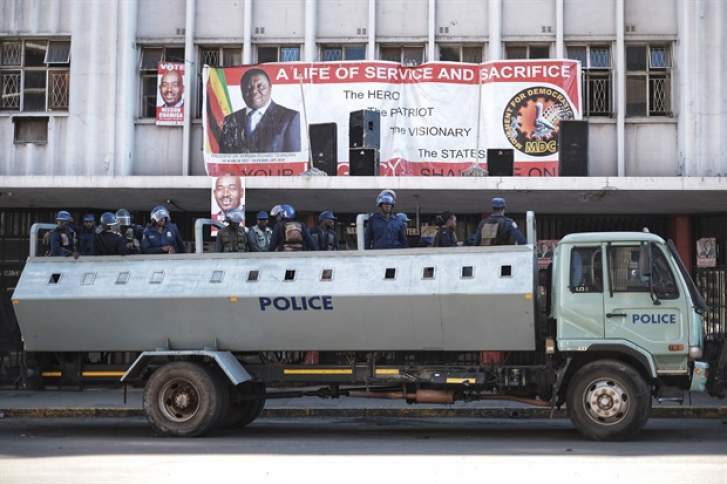 "This brutal cowardice is a throwback to the Mugabe regime tactics of intimidation, torture and violence as a response to serial failure to address legitimate concerns of Zimbabweans."